After sitting down with Toreh O’Garro and Roma Havers, two members of the Young Identity creative group, it became apparent how busy, how active, and how present the collective is in and around Manchester. With showcases running throughout the year and performances commissioned and hosted regularly, the young creatives seem to always be immersed in one project or another. Both Roma and Toreh contribute their poetic talent to Young Identity, and said that they had gained many skills as part of the collective. Roma described her current project, Bolted, as a one-woman show that explores the “bolted lock of self-isolation” compounded by “agoraphobia’s need to bolt”. Drawing on emotions experienced prior to university, Roma’s performance is a powerful exploration of emotional catharsis. Roma used to run The Creative Writing Society, before recently graduating with her Master’s. 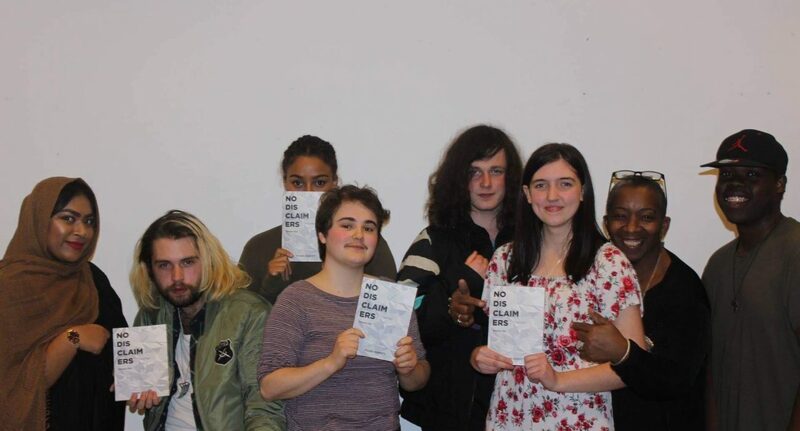 Toreh, a BA student at The University of Manchester, is now chair of The Creative Writing Society, and holds workshops every Friday from 6pm. As chair, he is leading The University of Manchester’s team into this year’s UniSlam, a national slam poetry competition. You can expect some exceptional performances, especially as Manchester’s team ranked third in 2017. Alongside discussing how their creativity has branched off into new directions, we chatted about what Young Identity is, and what it means for the people within it. Roma described the collective as “a diverse and large group of people exploring different creative avenues together.” The group of creatives, aged 13-25, meet weekly for workshops at Contact and HOME, and you can find out more on the Young Identity website and the HOME Theatre site. Co-founded by Shirley May, whom Roma and Toreh described as “a mother to all”, and Ali Gadema, who has helped many in the collective develop their creativity, Young Identity feels like a large family whose main aim is to support the creative progression of each of its members. The creatives “kick it, not just because we’re composed of writers with amazing talent, but because alongside that there is a core of support and encouragement” assuring each of its members a level of community and reliability. As to the creative output of the collective, an anthology launch is around the corner on December 11th at HOME. Titled ‘No Disclaimer’, Toreh explained that it reflects the collective’s belief of owning one’s own poetry with certainty rather than shying from the reception it will receive. The anthology is currently available to buy in the HOME bookstore prior to the launch event, as well as through the collective’s website. Further down the road, the successful Hatch at Home will be launched once again in January. It seeks to ‘connect to humanity using poetry and theatre.’ In it, Contact, Wordsmith, and Young Identity partner to showcase a set of creative, spoken performances articulating personal experiences in the politically uncertain climate of today’s world.